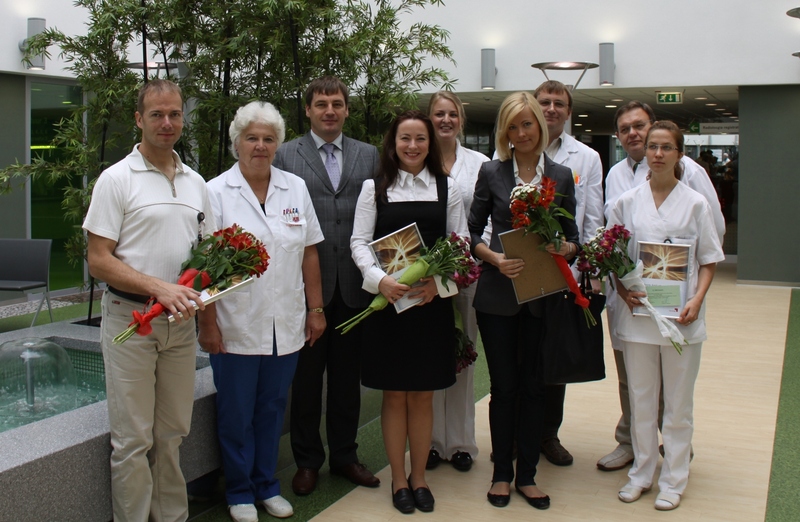 The Young Pshysician Scholarship is meant to support treatment and development activity of young doctors at the Medical Centre. 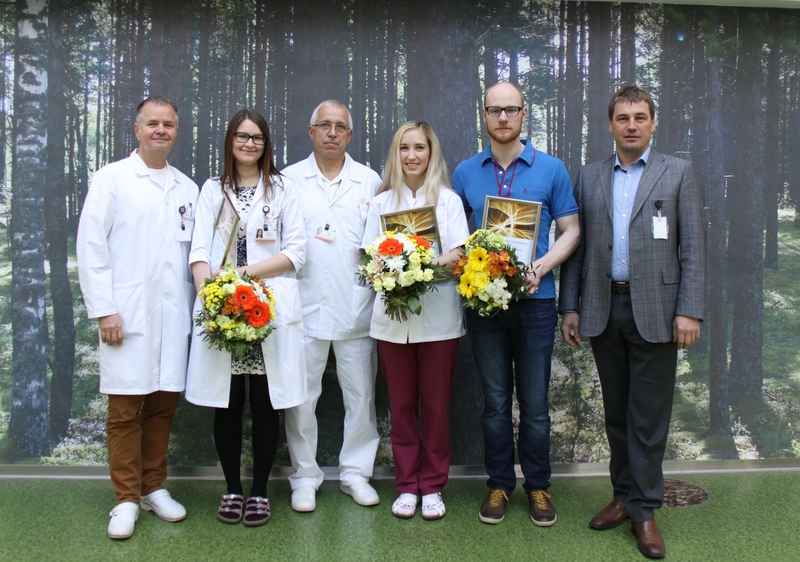 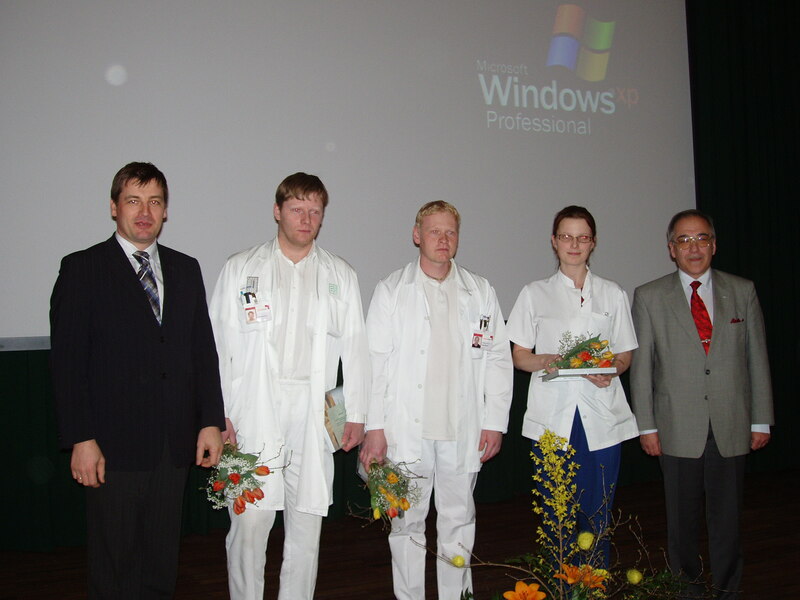 In the Picture: Clinical Director dr Andrus Remmelgas, dr Natalja Igumenova, Grand Man 2014 dr Jaan Tepp, dr Olga Koroljov, dr Karl-Gunnar Isand and Chairman of the Board Tõnis Allik. 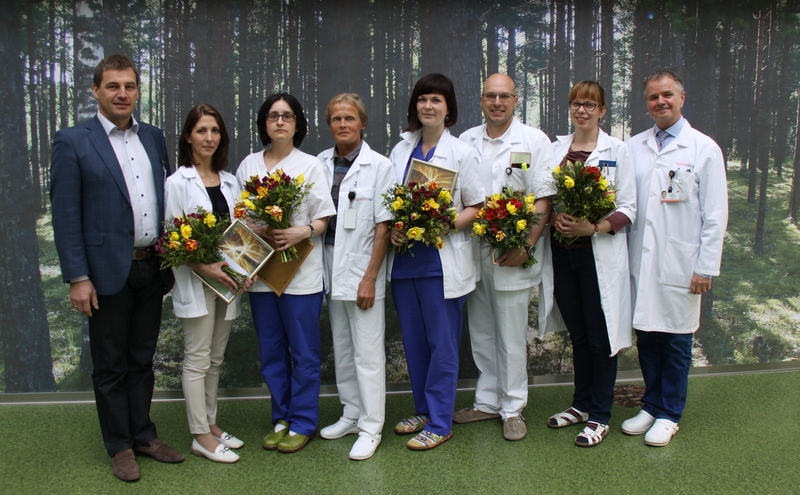 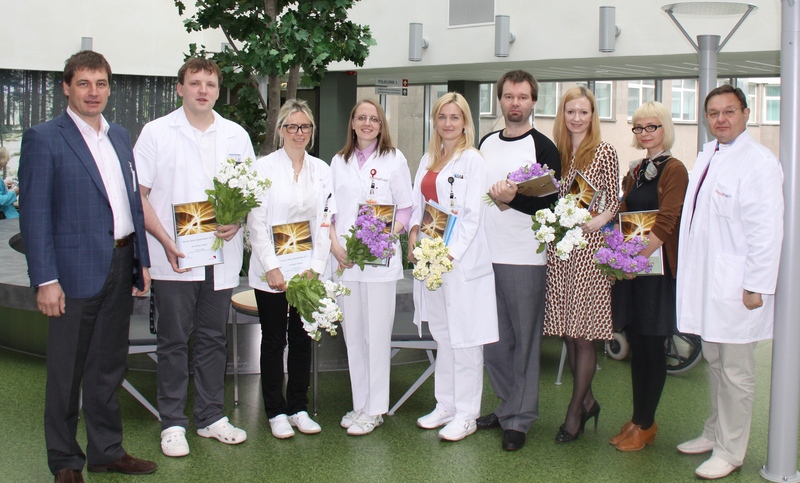 In the Picture: Chairman of the Board Tõnis Allik, dr Heleia Nestal Zibo, dr Diana Saranova, Grand Man 2013 dr Kalle Põder, dr Jevgenia Rogozina, dr Kristo Kask, dr Malle Helmdorf, Clinical Director dr Andrus Remmelgas.